I am one of those people that could eat breakfast anytime of day. I especially love creative spins on egg dishes, because I know I get in a rut of just making egg scrambles or eggs over medium, and that just gets boring. Today I am sharing my version of the “Egg McMuffin.” Now, McDonalds fans, don’t get too excited. I am not recreating the english muffin sandwich with weirdly-processed egg, cheese, and bacon that America knows all too well. Mine are shaped like muffins and are filled with fresh ingredients, like veggies and chicken sausage. Obviously, you can add or omit a variety of meat, veggies, and even cheese. Pack a few of these muffins for breakfast, lunch, a snack, or bring them to a party or potluck. Mickey D’s ain’t got nothin’ on these! This recipe was adapted from eatingwell.com. 3. In a large pan, heat olive oil. Add sausage (I used pre-cooked), and cook for several minutes. Then add veggies, basil, and seasonings, and continue to cook for about 5 minutes until softened. 4. In a medium bowl, whisk eggs, egg whites, and milk. 5. Divide the egg mixture into each cup in the muffin tin. Then add heaping spoonful of veggie/sausage mixture to each cup. 6. Bake for about 25 minutes, until the tops are golden brown. Let cool for about 5 minutes, and then eat! 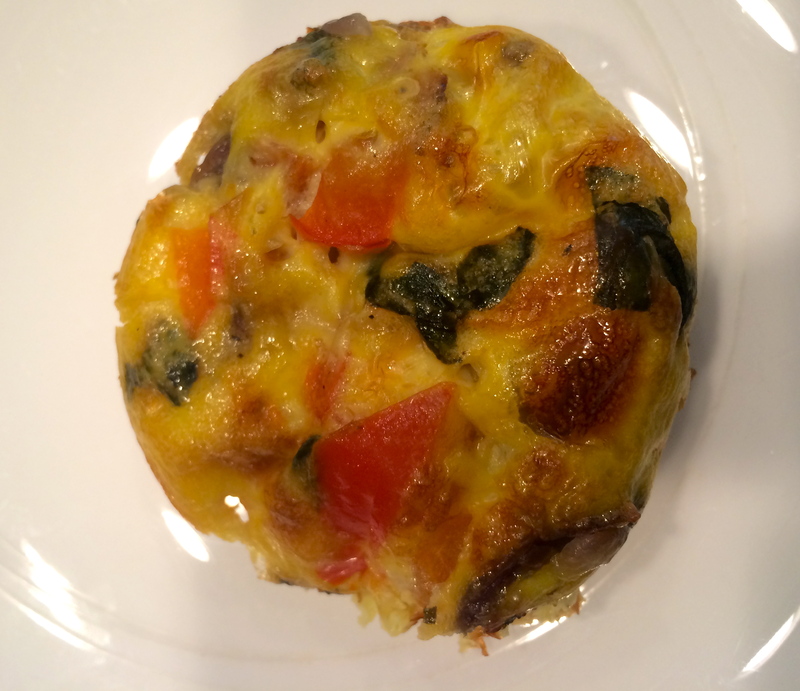 *I added a sprinkling of parmesan cheese to the tops of my muffins for about the last 10 min. of cooking for a crispy, cheesy topping.